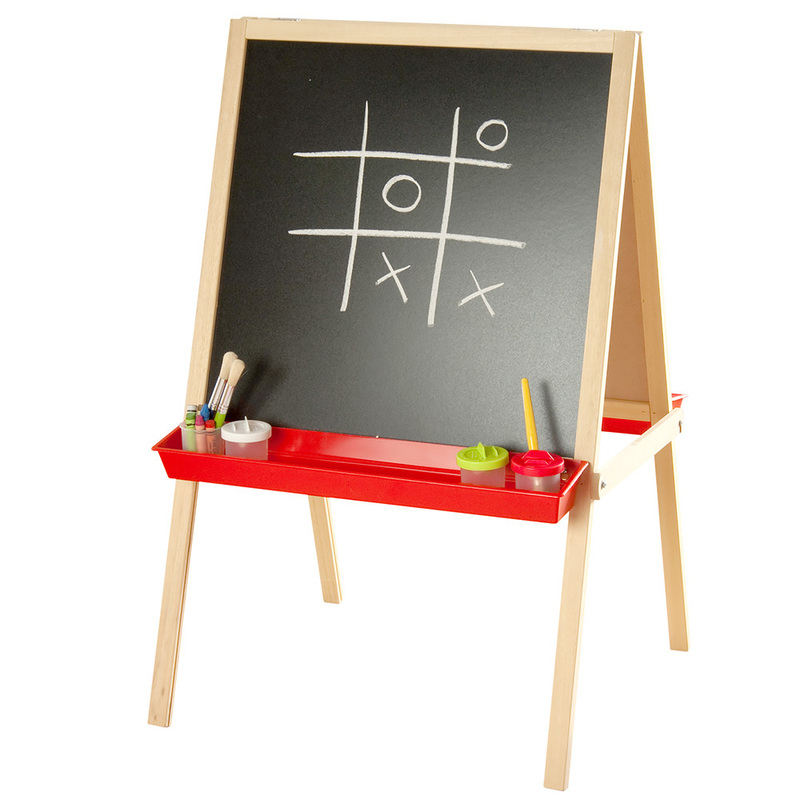 The two sided easel features one black chalkboard side and one dry wipe whiteboard side - perfect for classroom creative play in groups. The frame is manufactured sustainably in the UK from timber and includes a plastic paint/pen tray and a sturdy metal clip on both sides to hold paper. 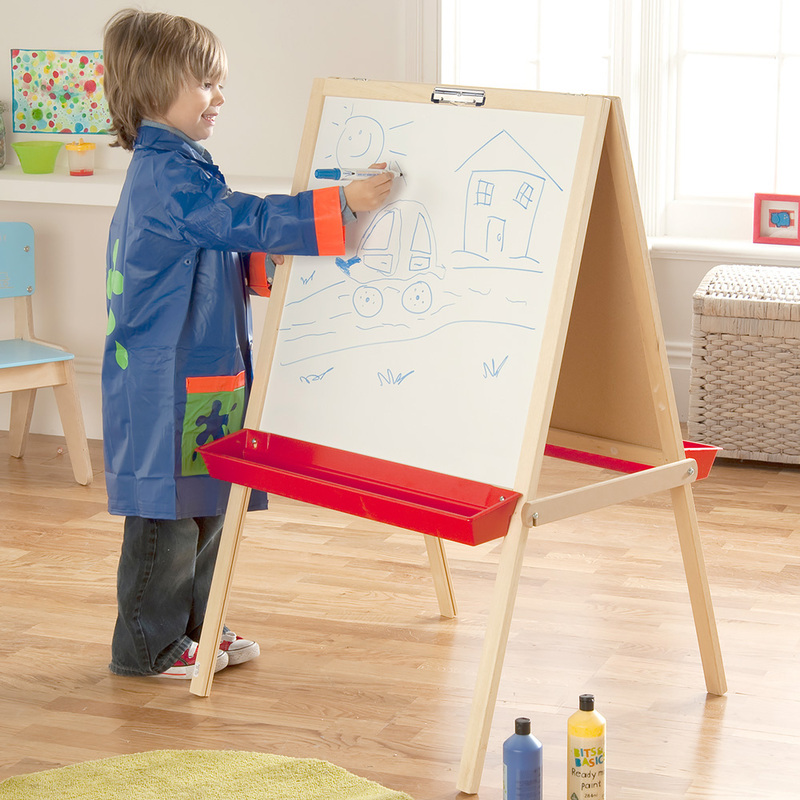 The two sided easel is delivered fully assembled and is suitable for children aged three years and older. Please note: the pens, paintbrushes and paint featured in the product images are not included with the two sided easel. For more information please Contact Us or call us on 01733 511121.